The school facilitates an exciting mentoring program that links current students with alumni. Students and mentors will be matched according to interest and will create a mentoring plan based on mutual expectations. This program invites alumni to share their professional experiences and allows MSW students to broaden their network of support. Welcome to the UB School of Social Work Mentoring Program. * We hope that you find your mentoring experience to be rewarding and enjoyable. Below are some guidelines to assist you in approaching the mentoring relationship. Your mentor’s name and contact information has been provided to you. We encourage you to contact your mentor right away to introduce yourself and to schedule a first "meeting". You and your mentor are responsible for establishing goals for your individual mentoring relationship, working towards them and evaluating your collective efforts. You are expected to return calls and/or emails to your mentor, just as you would be responsible to return calls and emails to your clients, colleagues, and collaterals when you practice social work. If your mentor does not respond to you, please contact Associate Dean, Denise Krause. The role of the mentor is to provide a realistic view of the social work profession. Appropriate topics for discussion between students and mentors are issues of current concern to the profession, the mentor’s approaches to ethical and professional dilemmas, career goals, the scope of social work practice, lifelong learning, and quality of life issues in the School of Social Work and post-graduation. It is not appropriate for a student to seek assistance on researching substantive content for coursework or fieldwork. Your primary role within the School of Social Work is as a MSW student. Through the mentoring relationship, the opportunity may arise for you to engage in extracurricular activities. Keep in mind that you are responsible for balancing all activities you volunteer to engage in. While you may choose to discuss with your mentor matters such as the locations and types of practice you may be considering, the Mentoring Program is not designed to serve as a recruitment device or job placement program. Students and mentors are encouraged to meet informally for coffee or a meal at the mentor’s office, or anywhere else that is mutually convenient. You are expected to cover the costs that you incur. Mentors are asked to inform students of conferences, workshops, public meetings and any special social work-related event. Please remember that it can be challenging to accommodate schedules and it is the quality of the relationship, not the quantity of time spent that determines the success of the program. Students are expected to respect the time and limited availability of mentors. In some cases, telephone and/or email may be the primary means of communication between students and mentors. Conversations between students and mentors are confidential. The nature of your mentor/mentee relationship will largely depend on what you decide is best for you and your mentor. Some mentors and mentees continue to stay in touch, and others meet a few times and consider the result satisfactory. Feel free to express to your mentor what you hope to learn from this program. We have broken the program up into PHASES to help the program progress. You will receive periodic email to remind you of the benchmarks. My name is "name" and I have been assigned as your mentee in the UB School of Social Work Mentoring Program. I am calling/emailing to introduce myself and to arrange a time and place for us to meet. I am generally available (insert information here—"on Fridays", "any day after 3:00," etc.) My phone number is (insert information here, including alternate contact method if desired). Thank you so much for taking the time to participate in this valuable program. I look forward to hearing from you. During this period, you will make contact with your mentor and meet for the first time. You may need to follow up a few times to get a hold of them. My name is "name" and, as you may remember, I have been assigned as your mentee in the UB School of Social Work Mentoring Program. I am calling/emailing to follow up with you to arrange a time and place for us to meet. (Insert something about your enthusiasm here, like, "I am looking forward to discussing your work at the Buffalo Schools.") My phone number is (insert information here, including alternate contact method if desired). I look forward to hearing from you. If you have continuing difficulty making contact with your mentor, try calling the reception or main number for his/her workplace to see if he/she has an assistant who can help you schedule your meeting. If you still cannot get in touch, please contact Associate Dean, Denise Krause (716-645-1223, dkrause@buffalo.edu). Once you have made contact with your mentor, you should set up a time and place to meet. This is usually at his/her office, at a café or restaurant, or any other mutually agreeable place. It is standard to set the time of the meeting for about an hour, but certainly, you can agree on the duration with your mentor. Learn about yourself. Do some self-assessment. What do you like to do? What kind of work do you excel in? 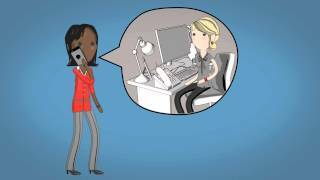 Why did you choose social work? This will help you describe your goals and preferences to your mentor, so he/she can help you make choices about professional development. Learn about your mentor, his/her workplace, and other information that is available. Be prepared to talk about yourself. This first meeting is a "get to know you" event, and the goal is to relax, have fun, and find common interests. Talk about your life before graduate school, your family, your personal interests, etc. Ask the mentor about his or hers, too! Think of some questions that the mentor can answer. What information would be helpful to you? What do you want to know about the profession, professional organizations, licensure, etc…? Don’t forget to follow up with a quick thank-you note, either by email or written card. Remember, your mentor needs positive feedback too, and will be more likely to continue the mentoring relationship if he/she feels that you are benefitting from it and appreciate it! Accompanying your mentor to a work-related event (non-confidential), such as a community- based meeting, workshop, conference or class. Accompanying your mentor to a professional social event, such as a NASW meeting, SSW event, or employer social event. Meeting with other people to whom your mentor refers you, either with our without your mentor present. This is also the time to be following up on advice that your mentor might give you, such as joining an association, reading a specific article, reaching out to a contact he/she gave you, or subscribing to a blog he/she recommends. Mentoring is a reciprocal process. At least once, you must contact your mentor to follow up and update him/her on your current situation. You should include some feedback on the outcome of advice, information or referrals he/she has given you, e.g. "I took your advice and attended the meeting on Medicaid reimbursement, and met a really great person named Jane Smith. Do you know her?" Even if your mentor’s initial advice didn’t have an immediate effect or outcome, check in anyway, to say that you tried it, and that it wasn’t quite right for you. Ask if he/she can advise you on how to get the most out of his/her advice, or if he/she can suggest an alternative, e.g. "I joined the NASW as you suggested, but I haven’t seen much activity about school social work. Can you suggest a way I can get more out of my membership? Or, is there another more active organization you can recommend?" Your mentor may be able to advise you to contact a particular person, or to volunteer to help with a particular event. Ideally, when you do follow-up on a mentor’s suggestion, you should be letting him/her know the outcome. This needn’t be lengthy and onerous. It might involve a quick email, or a short follow-up meeting to go over your progress. This program improves based on your feedback! We will ask you to fill out a feedback form to let us know about your experience. You feel your mentor is not supportive. The mentor repeatedly misses meetings or arranged contacts, arrives late, or is not an active participant in meetings and contacts. Your mentor relationship becomes inappropriately and uncomfortably personal. There are other issues which cause rise to concern on your part as a mentee. It is possible that a conflict of interest may arise based on a field placement assignment made after a mentoring match. Should this occur, please notify Associate Dean Krause and you will be matched with another mentor. If you have any questions about this program or your assigned mentor, please feel free to telephone the Associate Dean for Community Engagement and Alumni Relations, Denise Krause at 716-645-1223 or email at dkrause@buffalo.edu. *The SSW Mentor Plan is adapted from the UB Law School Mentoring Program (2010). **The mentoring relationship as administered by the SSW falls within the guidelines of the NASW Code of Ethics.